Burlington, Vermont is a small, but bustling city, beautifully situated on the coast of Lake Champlain. Surrounded by the Adirondacks and Green Mountains, it is the home of the University of Vermont. The boys and young men of The Georgia Boy Choir arrived in Burlington on Monday afternoon and were greeted warmly by the family and friends of the newly formed Vermont Boychoir, who would be their hosts for the next two days. Next morning they enjoyed wandering the 45 acres of the incredible Shelburne Museum, a remarkable outdoor museum which houses amazing works of art (Monet, Manet, Degas, Remington), a private luxury railroad car, a blacksmith shop, the USS Ticonderoga, a passenger paddle-wheel boat, an antique toy collection, a gun collection, incredible preserved wildlife, and abundant gardens. It was not only beautiful, but also fun and educational. When they gathered for lunch and departure, the boys asked if they could please spend some more time there, so an extra hour was granted, much to their delight. No trip to Burlington would be complete without a stop at the original Ben and Jerry's Ice Cream Store downtown. After each boy had carefully chosen his favorite flavor, they enjoyed wandering the ample pedestrian area that is downtown Burlington, which on this day was filled folks shopping, eating, and listening to the various offerings of the outdoor performers of the Burlington Jazz Festival which happened to coincide. 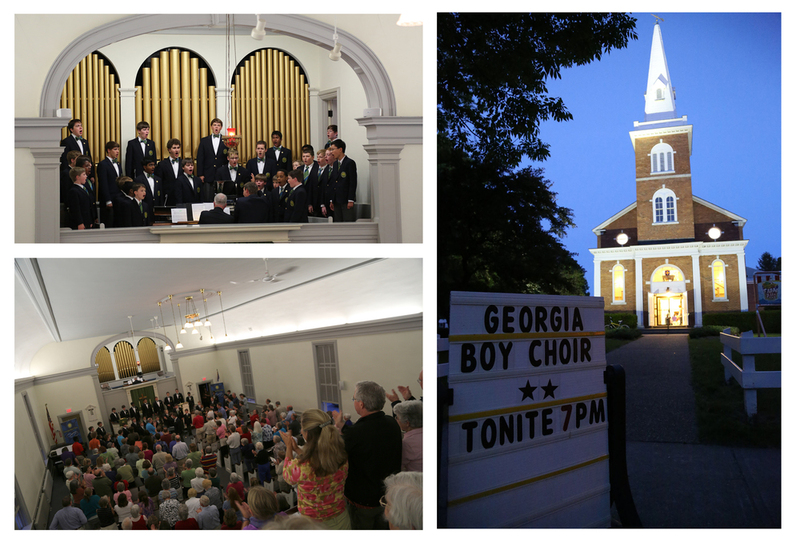 The Choir's evening performance in historic First Congregational Church in nearby Essex Junction was an exciting one, because it was also to be the inaugural performance of the Vermont Boychoir. As concert time approached, the church began to fill up. When the nine new members of the Vermont Boychoir sang the two songs they had prepared, The Georgia Boy Choir enthusiastically showed their support. The choir loft at the First Congregational Church is raised about 15 feet above the dais in the front of the church and is designed to hold a choir of about 20 singers, so it was a tight squeeze to get all 30 members of The Georgia Boy Choir in there, but it made for a uniquely wonderful sound. The boys were so close to each other and to the organ pipes that together they really seemed to be almost one instrument. The audience erupted after their first song and gave the first of at least five or six standing ovations for the evening. 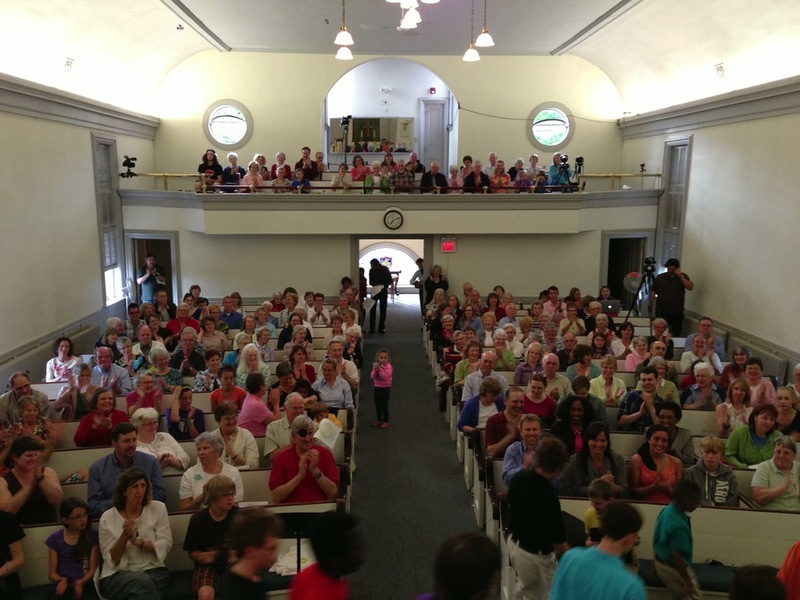 The church was filled to capacity and when the boys came down from the loft, surrounded the audience, and processed to the front of the sanctuary singing, "Marching to Zion," complete with free ringing of handbells and aleatory alleluias, the joy on the faces of the listeners was irrepressible. A video of the Choir singing Marching to Zion, arranged by John Ferguson can be viewed by clicking on this link. The tenors and basses from the new Vermont Boychoir joined with their new friends from Georgia for the singing of, "Mansions of the Lord", and the Vermont trebles joined in the singing of, "And God Shall Wipe Away All Tears" as well as the concert closer, "One Voice." It was a real thrill and honor for The Georgia Boy Choir to be able to be present for the Vermont boys' first performance and to be able to lend them their support and encouragement. In this day and age, and in the current culture it is so vitally important for organizations like these to exist; where boys can exercise their powers of self discipline, and under good guidance learn to become the best musicians they can possibly be, and in the process become the best boys they can possibly be. Many say that it is remarkable that such young children can make such beautiful music. What is more remarkable is the power of great music to make beautiful children. 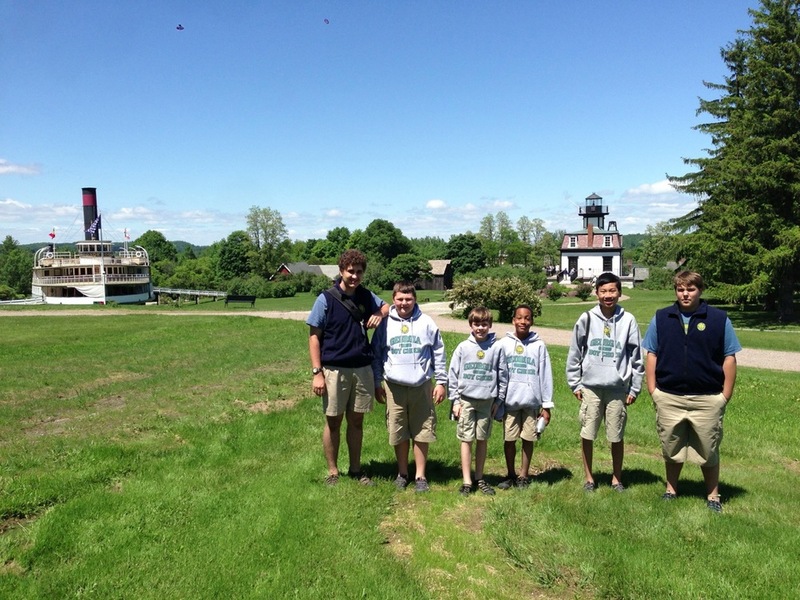 And so the boys and young men continue on their way, making beautiful music and new friends all across New England. We certainly wish the very best for the new Vermont Boychoir and look forward to seeing them again when they come to Atlanta for the Georgia Boy Choir Festival next February.